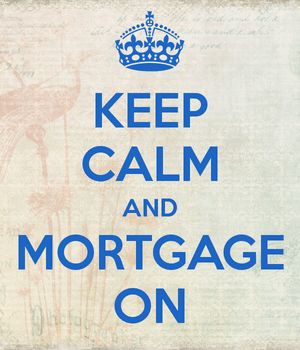 If you were to get a mortgage today, where would you go? Would you turn to your local bank or would you look elsewhere? I’d hope you’d take the time to comparison shop, seeing that many individuals do not, but that’s up to you. But that’s not the case. Most people don’t go to their bank to get a mortgage. The reason? Low engagement. This according to a Gallup poll, which found that few people are fully engaged with their bank. By engaged, they mean “emotionally and psychologically attached” to the banks in question. Put another way, loyal. Among those with a mortgage, 39% who were fully engaged with their primary bank or credit union actually used them when it came time to obtain a mortgage. Conversely, just 25% of actively disengaged customers used their existing bank/credit union to get a mortgage. Where’d They Get Their Mortgages? Well, it turns out most people got a mortgage from a bank they had no prior relationship with. But once they did, if they were fully engaged with that institution, they often (46%) became retail customers, taking out deposit accounts and/or credit cards. That compares to just 11% of actively disengaged mortgage-only customers. More importantly perhaps, these fully engaged folks were more than twice as likely to return to that same bank or credit union for a subsequent mortgage. In other words, take care of your mortgage customers and they will come back to you. And if you’re a bank, you can also cross-sell all types of other financial products in the process if they’re happy. Of course, engagement is just one piece of the pie. Even if you really like your bank, it would be a disservice to not look around. And one in five customers surveyed said they chose their mortgage provider based on a recommendation from a friend, family member or co-worker. These days, most mortgage offerings are pretty much the same. The only difference is often the price, or interest rate for a mortgage (and the fees involved). The service can also differ quite a bit, but I’d venture to say most mortgage shoppers are primarily concerned with pricing. If you stick with your bank or credit union just because you like them you may be missing out on a much better deal. When it comes down to it, some banks may be good at closing loans, but many are not. It’s just not their specialty. Sure, most banks offer mortgages, but they may not offer the type of mortgage you’re looking for, or offer you any insight into which product is best for you. You may even be denied a mortgage at a large bank and give up on the process, not knowing another bank or mortgage broker would have found a solution. Gallup noted that less than one in four customers are fully engaged with their mortgage provider, which might have something to do with the complicated process that often ends in disappointment. Or the fact that many mortgages are sold quickly after origination. In any case, when those surveyed were asked how likely they were to recommend their mortgage provider to a friend or family member, 93% of fully engaged customers said “extremely likely,” compared to just 3% of disengaged customers. So banks, if you’re listening, do a better job. Read more: Why does my bank want me to refinance?